Arlo Ultra will begin rolling out to retailers later this month. The flagship 4K HDR wire-free security camera system is powered by the Arlo SmartHub which will deliver additional support for Zigbee and Z-Wave compatible smart home devices later in 20192. Featuring advanced 4K HDR video quality with color night vision, a 180-degree panoramic field-of-view, an integrated spotlight and crystal-clear two-way audio with advanced noise cancelation. Formed in 1994, the Security Systems and Alarms Inspection Board (SSAIB) has continuingly sought to maintain the highest of standards and are proud to have reached such an historic landmark as the leading certification body for organisations providing security systems and services, fire detection and alarm systems, telecare systems and services, manned security services and monitoring services. As well as unveiling a special SSAIB logo to commemorate reaching the landmark 25-year milestone, various special events will be held throughout what is set to be a massive year for the organisation. 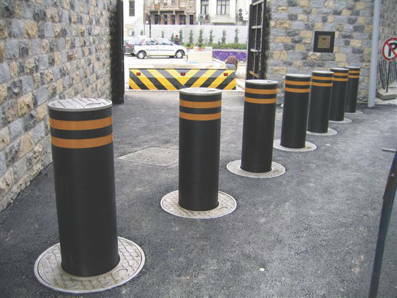 ATG Access, a leading designer and manufacturer of road blockers, bollards and barriers, has continued to experience growing success thanks to the popularity of its varied and ever-expanding product range. Consistently at the forefront of innovation and security engineering, ATG Access has developed the world's strongest rising bollard, designed to protect critical infrastructure against potential vehicle attacks. Two separate divisions of VPS (UK) Ltd are combining to operate under a new banner of VPS Security Services. Their Property division, providing protection for people, property and assets for over 25 years, will merge with their Site Security unit, which specialises in securing construction sites, utilities and assets in remote, challenging environments. Being able to store up to 2.04PB of storage per high density unit is impressive enough, but when coupled with Wavestore's HyperRAID redundancy and EcoStore hard drive energy saving technology, PetaBlok can surely claim to be the world's most efficient and robust video management and storage solution for applications which generate extremely large amounts of data. 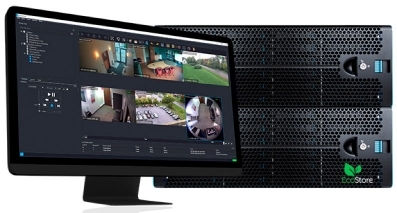 Pre-installed with Wavestore's Video Management Software (VMS), PetaBlok is designed to provide a simple to implement and cost-effective solution for the increasing number of video surveillance projects which require multi-megapixel images captured by high numbers of cameras to be stored over long periods of time, with lightning fast search and video recall. What can I see at Lockexpo? Lockexpo 2019 is only a few weeks away now (2nd and 3rd March at the East Midlands Conference Centre) - so what's on the agenda? First things first: have you registered yet? Even if you've attended previous shows you still need to register for this one! Bringing your QR code on the day will guarantee you fast track entry (but if for some reason you can't download the QR code, don't worry - as long as you're in the database, you'll still get fast track entry). Why aren't we more prepared? Abbey Petkar, managing director of Magenta Security Services reacts to the latest Brexit challenges. "I find it strange just how quiet the security industry is on the subject of Brexit. Whether you voted to leave or remain, whether you believe in the PM's plan or think she is wasting valuable time, Brexit is undoubtably the topic of the moment and will remain so for some time to come. Yet collectively the security industry remains relatively mute on its potential impact - which could be significant. The director of Welsh event security firm, LS Armour, has received a prison sentence of two years and three months following an investigation by the Security Industry Authority (SIA) into unlicensed security staff at UK music events. Lee Szuchnik supplied unlicensed guards to music festivals in June and July 2017. Unlicensed staff were supplied to events including Download, Glastonbury Festival and two Adele concerts in Wembley Stadium.